Remove pollen covered clothing as soon as you get home. Bag garments or deposit them in your mud or laundry room as soon as you walk in the door. Do the same with shoes to avoid tracking allergenic contaminants into your home. Use a high quality air purifier with a true HEPA filter at home and in your office. I use and recommend Rowenta’s Intense Pure Air, which features four stages of filtration, including a true HEPA filter, to remove 99.97% of airborne allergens. It’s also the only air purifier in the world that permanently captures and destroys formaldehyde (a known carcinogen found in 100% of our homes) which can exacerbate allergy symptoms other respiratory issues like asthma. Have your HVAC and window units inspected for contamination. It’s important to remove any built up dust and debris, as these contaminants will worsen and further prolong allergy symptoms. Wash your pets at least once a week. Dogs and cats that spend a lot of time outdoors can accumulate a large amount of allergens in their fur, which in turn leads to widespread contamination throughout your home. Shower before bed. It’s important to wash off any allergens and contaminants that you’ve picked up during the day so that you don’t track them into your bed and prolong your exposure. Pay special attention to your face, as the environmental contaminants you’ve been exposed to during the day, tend to cling to dead skin and old makeup. Eliminate dust with electrostatic cloths. 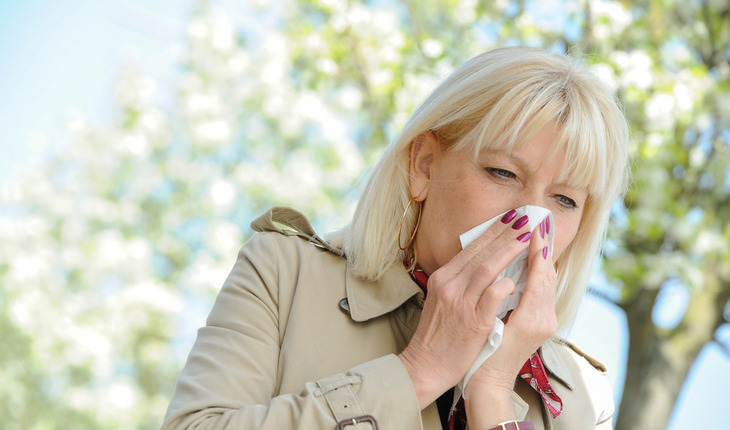 Dust particles can further worsen seasonal allergy symptoms. Use electrostatic cloths to eliminate dust instead of chemical-containing “dusting” sprays that saturate the air with hazardous toxins. See an allergist. She may recommend medication to help prevent the possibility of developing bronchitis or a lung infection. Dr. Noreen Khan-Mayberry, otherwise known as “The Tox Doc,” is a leading environmental toxicologist, #1 bestselling author of Talking Toxicology, and Editor in Chief of The Journal of Clinical Toxicology. With 20 years of specialized experience in petrochemistry, microbiology, chemistry, and toxicology, Dr. Noreen made history as the world’s first female NASA* space toxicologist where she works to prevent chemical contaminants from affecting the health of astronauts during spaceflight operations. Here on earth, Dr. Noreen has dedicated her life to translating the language of science so as to generate public awareness about critical environmental issues that impact human health.